Churches cannot currently be sued because their assets are protected. 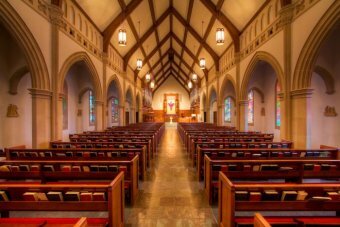 “Survivors of sexual abuse will soon be able to sue churches in Victoria, as the State Government moves to close a legal loophole. Currently, laws in the state prevent victims from being able to take legal action against some non-incorporated organisations, like churches. Attorney-General Martin Pakula said the new legislation was in response to a key recommendation from the Royal Commission into Institutional Responses to Child Sexual Abuse. A bill will be introduced into State Parliament in the first half of the year, he said. “We’re developing legislation to overcome the so-called Ellis defence, in response to key recommendations of the Betrayal of Trust report and the Royal Commission into Institutional Responses to Child Sexual Abuse,” Mr Pakula said in a statement. 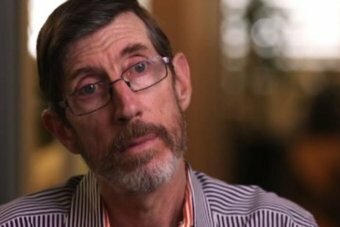 Abuse survivor John Ellis lost his legal case against the Catholic Church a decade ago. The ‘Ellis defence’ refers to a 2007 legal case brought against the Catholic Church by John Ellis, a survivor of child sexual abuse. A lawyer, Mr Ellis tried to sue the church for damages, but the case was dismissed after the court found the church did not legally exist because its assets were held in a trust that was protected from legal action. Andrew Morrison SC, who represented Mr Ellis in court a decade ago, said the loophole could have been closed earlier. “This is something which isn’t a surprise. The only thing that’s perhaps a little surprising is that it’s taken so long for the recommendation to come forward in terms of legislation,” he said. “It’s entirely appropriate that one institution and one institution only shouldn’t be able by its structure to evade its responsibilities. The Archdiocese of Melbourne’s communications director, Shane Healy, said the church supported the new law and had been consulted by the Government. The royal commission recommended state and territory governments introduce legislation that allowed survivors of abuse to sue an institution with a property trust for damages when it has sufficient assets.